Welcome to London ! Largest city in the United Kingdom, London has the status as the leading global financial centre. Come and enjoy this multicultural city with different accommodations. 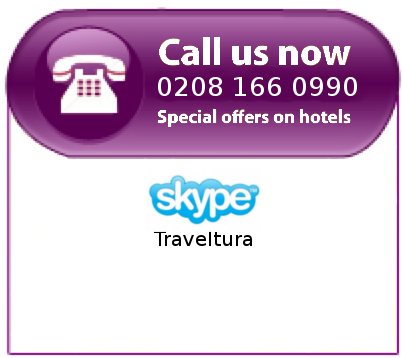 There are plenty of London hotels, there is a choice for everyone. From Piccadilly, you will walk on Regent street, the most famous street in London, and enjoy the variety of shops ! London proposes different entertainment starting from theatre performances like the Musical Comedy, Billie Elliot, Chicago, Grease...but also cultural places like the Madame Tussaud Museum or the well-known British museum! You already know one of the most attractive places, the clock tower, the Big Ben. It measures 98.5 meter and is located between Westminster Bridge and Westminster Abbey. It is, among other things, the symbol of London. It will be easy for you to find what you want in London, whether you're on the move for work or for holidays, every London Hotels will welcome you as warmly as possible. There are other remarkable monuments in London such as Southwark Town Hall, the Museum of Natural History, the millennium dome, or St Pancras Station, a symbol of Victorian architecture. The architecture in London has changed in the last few years, there are different styles and they are all extraordinary. London is vibrant and very diverse culturally. It plays an important role in art and fashion. It is also an important tourist destination. It receives 27 million tourists per year and has four World Heritage-listed sites and numerous iconic monuments: the Palace of Westminster, Tower Bridge, Tower of London, Westminster Abbey, Buckingham Palace but also institutions such as the British Museum or the National Gallery. Thanks to deals offered by various London hotels it is easy for you to accommodate your needs, your desires and your budget. Choose according to your taste and your preferences, to subsequently appreciate the charm of the capital, symbol of England. London is an amazing place where you can find what you are looking for. Do you want to eat out? Go to the centre of London and find sushi bars right through to traditional British cuisine. If you really want to shop or just have a drink with friends, there are hundreds places to please you. For easy transportation use one of 10 main subways throughout central London however, the “Central” &“Piccadilly” lines can take you wherever you want. Visit London, it is a lovely and surprising place to live in, a place where all your dreams can come true.